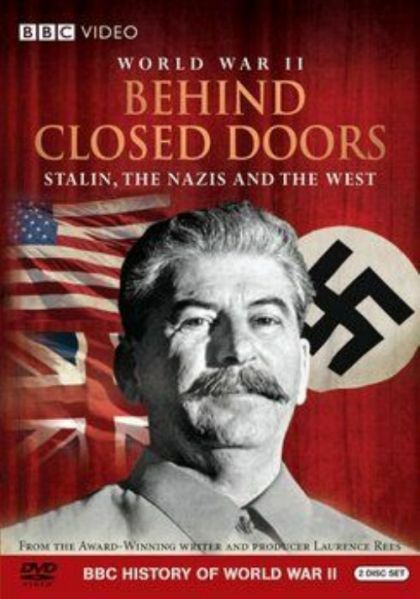 Plot Stalin, the Nazis and the West. Joseph Stalin was a tyrant responsible for the death of millions, yet he was also a vital ally of Britain and America during the Second World War. How was it possible for Churchill and Roosevelt to deal with one tyrant, Joseph Stalin, in order to help beat another, Adolf Hitler? That's one of the key questions at the heart of this six-part landmark history series. The series uses dramatic reconstructions, based on extensive fresh research in Russian and Western archives, and extraordinary testimony from witnesses of the time, including former Soviet secret policemen who have not spoken before on camera, in order to tell a 'behind closed doors' history.